Paranoid Android is back and now the Official Paranoid Android 7.1.2 Nougat is available for OnePlus 3 and OnePlus 3T. 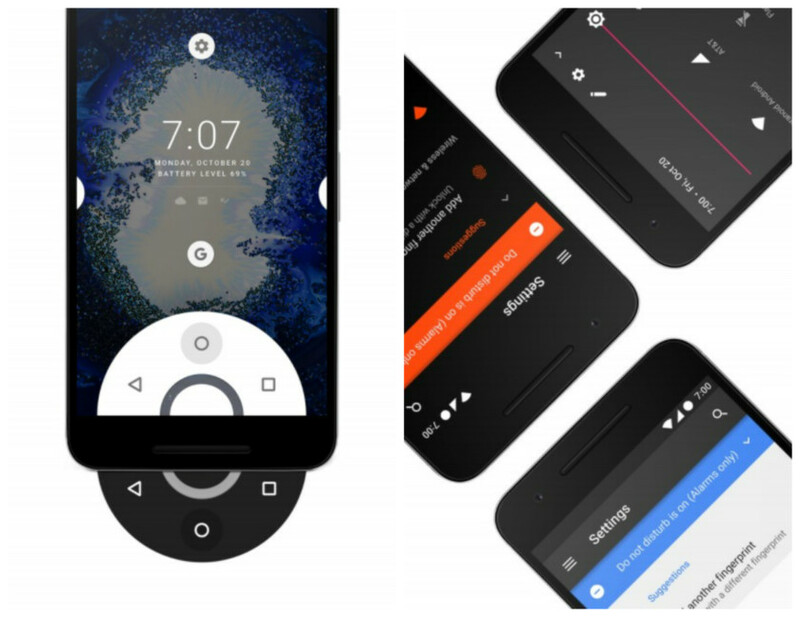 If you are the fan of Paranoid custom ROM and waiting for it for a long time, then your wait is over, Paranoid Android has returned with Android 7.1.2 Nougat builds for a bunch of devices. Now the custom ROM is available for Google Pixel, Google Pixel XL, OnePlus 3, OnePlus 3T, Nexus 5X, and the Nexus 6P. The new ROM comes with lots of new features and some of the are Color Engine, On-the-spot controls, Immersive mode, Paranoid OTA (Updates), Battery styles, Advanced Power dialog, Recent app locking, Quick pull-down, Substratum support, and Enhanced kernel + control. 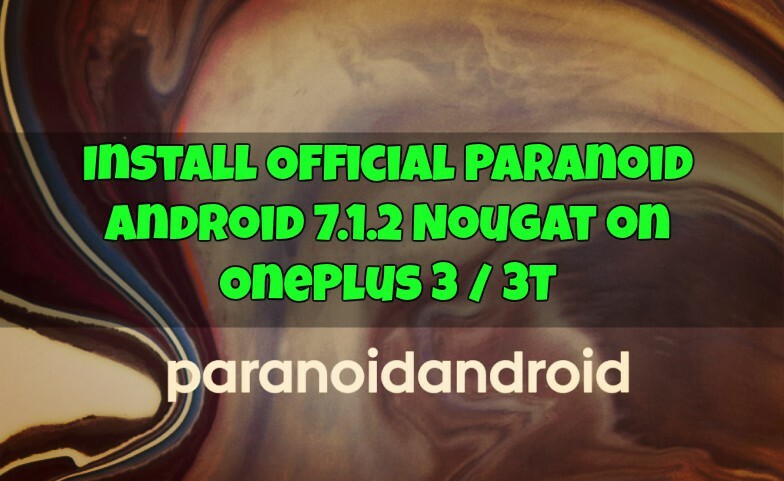 If you are the Oneplus 3 and Oneplus 3T user and want to install Official Paranoid Android 7.1.2 Nougat on your phone. Here is the complete guide which you can follow on your phone and update your phone with this new awesome custom ROM. This guide is only for the Oneplus 3 and Oneplus 3T user and to flash this custom ROM on your phone you need a phone with TWRP recovery. If you don’t have the TWRP recovery on your phone, follow this guide to install TWRP on your Oneplus 3 Phone and For OnePlus 3T here. After that read all the step very carefully and follow all the steps one by one. IMPORTANT – Make sure to take the full backup of your phone, because this method will erase all the data from your phone. Download Paranoid Android 7.1.2 for Oneplus 3 and OnePlus 3T here and save the zip file on your phone. Download Google Apps Gapp zip file here and save the zip file on your phone. 1. As we already mention above that you need TWRP recovery for the Oneplus 3. Now save both the Paranoid Android 7.1.2 ROM and Gapps zip file on your phone. The same files that you downloaded from the Download Section. 2. Now Boot your Phone in TWRP recovery mode. To do this turn your phone and Hold the Volume Down + Power button to boot your phone in recovery mode. 3. One your are on the TWRP recovery mode. 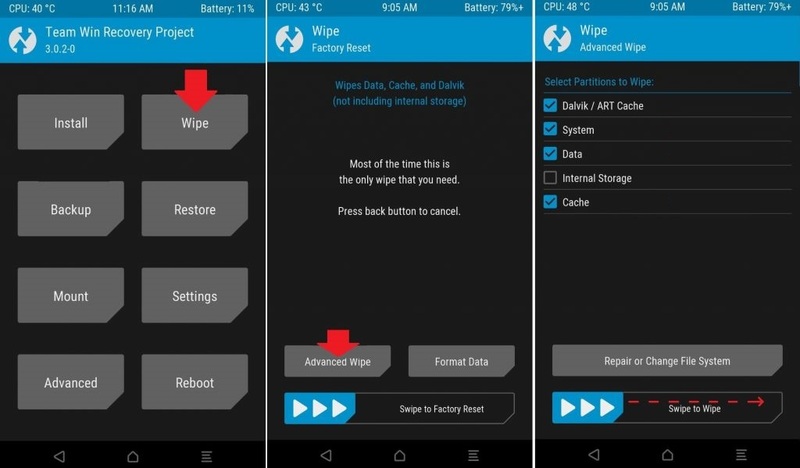 Tap on the Wipe > Advanced Wipe and Select Dalvik / ART Cache, System, Data and Cache. Now Swipe to Wipe from Bottom. 4. This will wipe the previous ROM from your phone and now you are ready to install the new Paranoid Custom ROM on your phone. 5. No back to home screen of TWRP and Tap on the Install option and Locate Paranoid Android 7.1.2 ROM zip file and flash the same on your phone. 6. After that Locate Google App Gapps zip file and flash the same. You need to flash this zip file to install the Google Application on the Paranoid Custom ROM. 7. Once both the files are successfully installed on your phone. Tap on Reboot System. Now your phone will boot and the first boot will take some time near about 5 to 8 minutes to make some change on your phone. Now the Official Paranoid Android 7.1.2 Nougat is successfully installed on your phone. Enjoy !! !